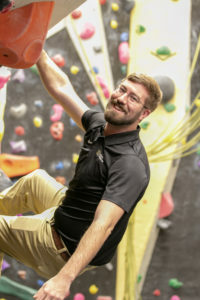 Peter came to Wake in July 2018 after being involved with outdoor programs at both Sweet Briar College and University of Lynchburg. Originally from Charlottesville, Virginia, Peter studied Business Administration at Lynchburg College and received his M.Ed. in Educational Leadership–Higher Education. He’s a certified L4 Swiftwater Rescue Instructor (ACA), Wilderness First Responder (NOLS), Leave No Trace Master Educator (LNT), L2 Challenge Course Practitioner (ACCT), Wilderness and Remote First Aid, First Aid, CPR, AED Instructor (ARC), and L2 Climbing Director (BSA). Peter’s also a member of AORE, ACA, ACCT, NSS, and ARC.